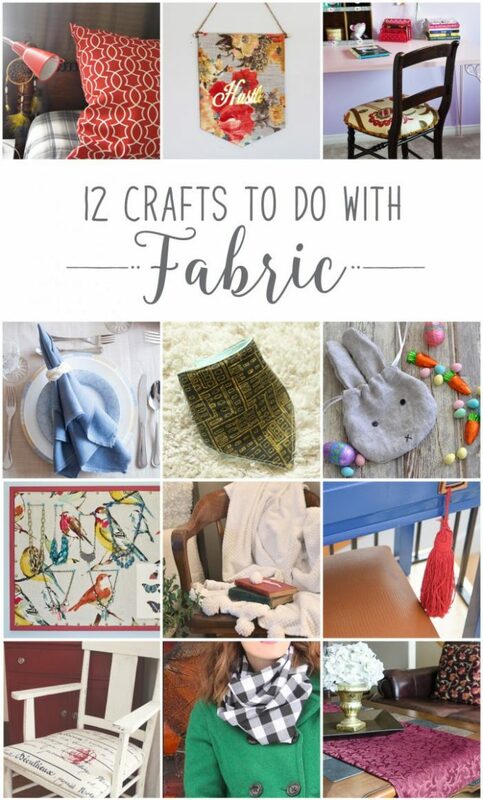 The #12MonthsofDIY challenge is back with #FebruaryFabric! 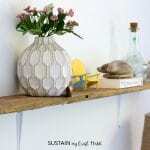 For this fun and creative challenge, each of 12 Canadian bloggers use the same material each month to create an inspiring DIY or craft project. 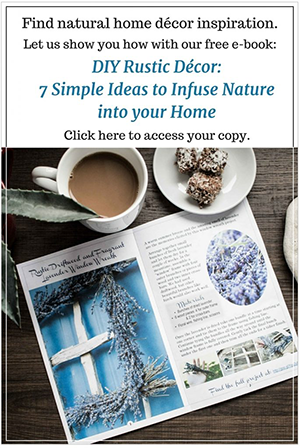 In case you missed it, you can check out all of last month’s projects using mason jars including our DIY African violet planter. Also, join us on Instagram and tag your own fabric post this week with #februaryfabric for a chance to be featured on all 12 of our Instagram accounts. 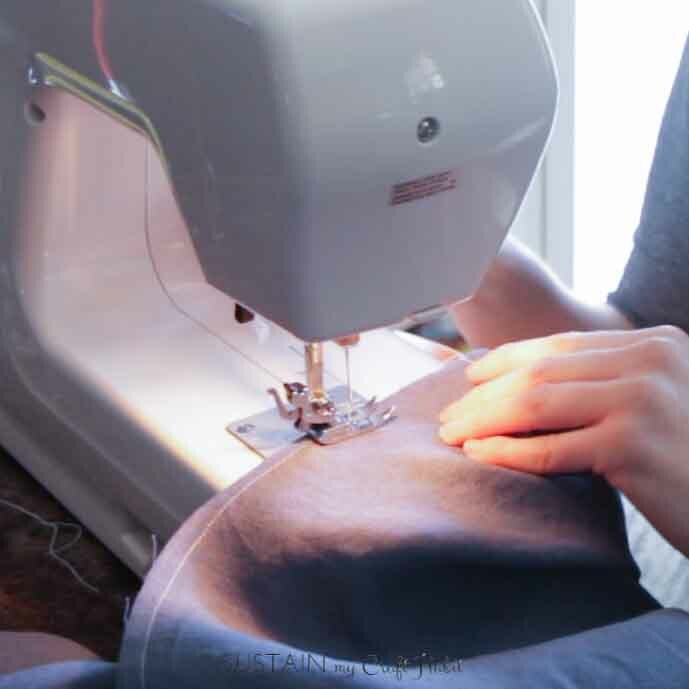 We’re so pleased to have OnlineFabricStore as the sponsor for this month’s challenge. We were able to pick two items from their extensive selection of all kinds of fabrics (everything from burlap, canvas, cotton to silk) including numerous designer brands such as Ralph Lauren, Robert Allen, Sunbrella and even craft supplies such a twine including the Ivory Jute Twine we selected. We decided to try working with linen for the challenge: there were 114 different types of linen including Belgian, Irish, Chambray, European and burlap linen in a huge selection of colours including printed designs! It was a hard choice to make but we selected one yard of the Bluestone Irish Linen which looked beautiful and beachy to us. The website was easy to use, fast and well organized and when we looked at one product they listed all the other colours available as well as suggestions for other options and materials. The prices were reasonable with discounts for multi-orders and free shipping on orders of $50 or more. 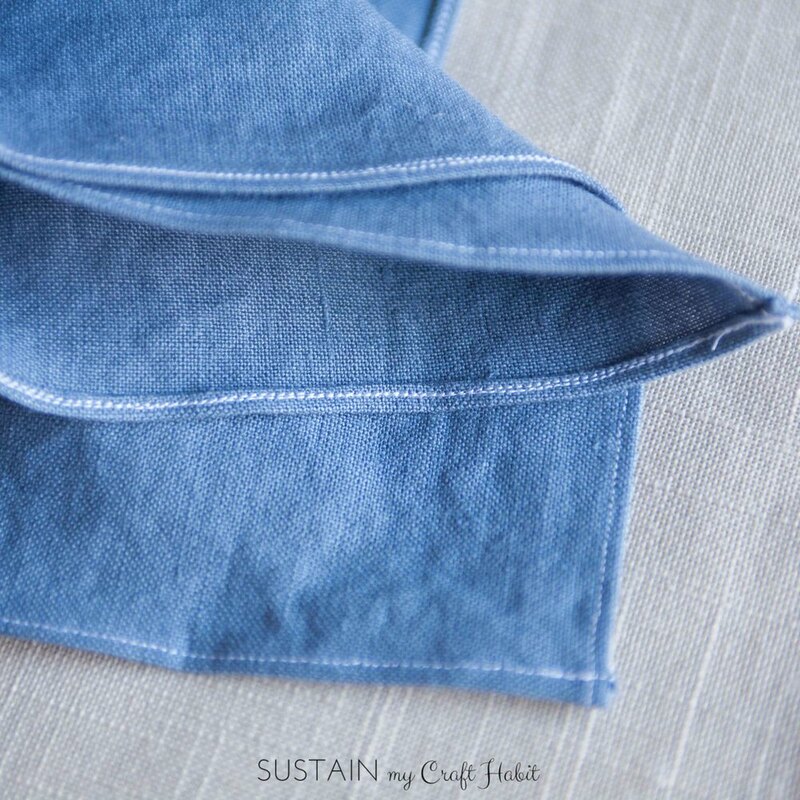 Linen is made from the natural fibers of the flax plant. In addition to desirable properties such as excellent moisture absorbency and strength, linen has such a fascinating history and appears to be one of the oldest textiles in the world. Linen was thought to be used as currency in ancient Egypt as well as wrapping for mummies. Today this expensive fabric is used in high-end household linens (bed, bath and kitchen), home and commercial furnishings, apparel and industrial products such as luggage, canvases and thread. 1. Wash the linen before using as it will shrink a bit. Iron out while it’s still damp. Trim the frayed edges. 2. Measure and mark the fabric. With our one yard of fabric we were able to make 6 napkins of about 18” and 18” size (17 ½ x 17 ½ for the finished edge ones). 3. Decide on the edging finish you would like. 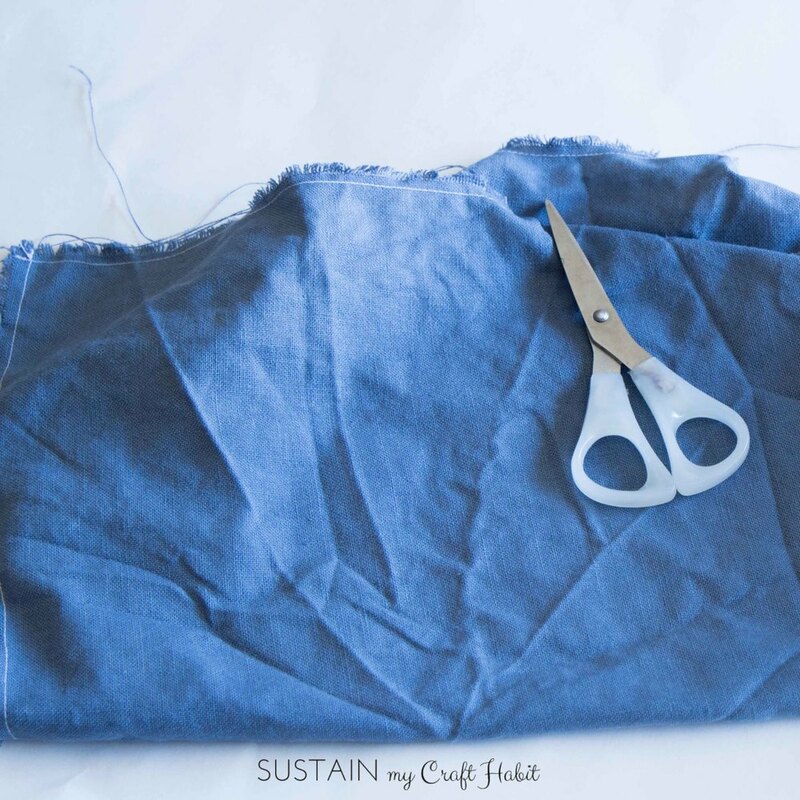 For a frayed edge finish: sew one line using a sewing machine along each edge (about ¼ inch in) using a thread colour of your choice. 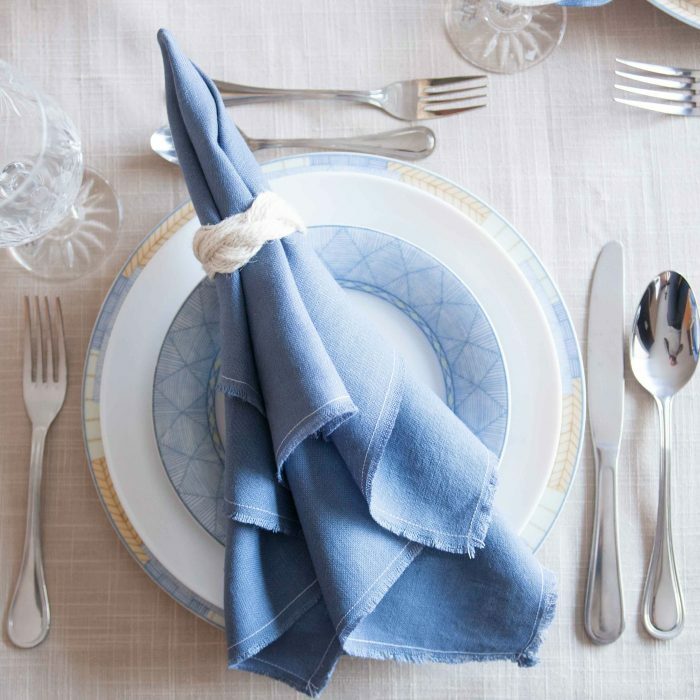 We opted for white which provided a nice contrast on the napkin and coordinated with our nautical-inspired napkin rings (see below) and dinnerware. Once sewn, re-wash the napkins. The threads will have come off the edges. Gently pull them as far as they’ll go and then trim off the loose threads. You may need to repeat this after the next time you wash the napkins. 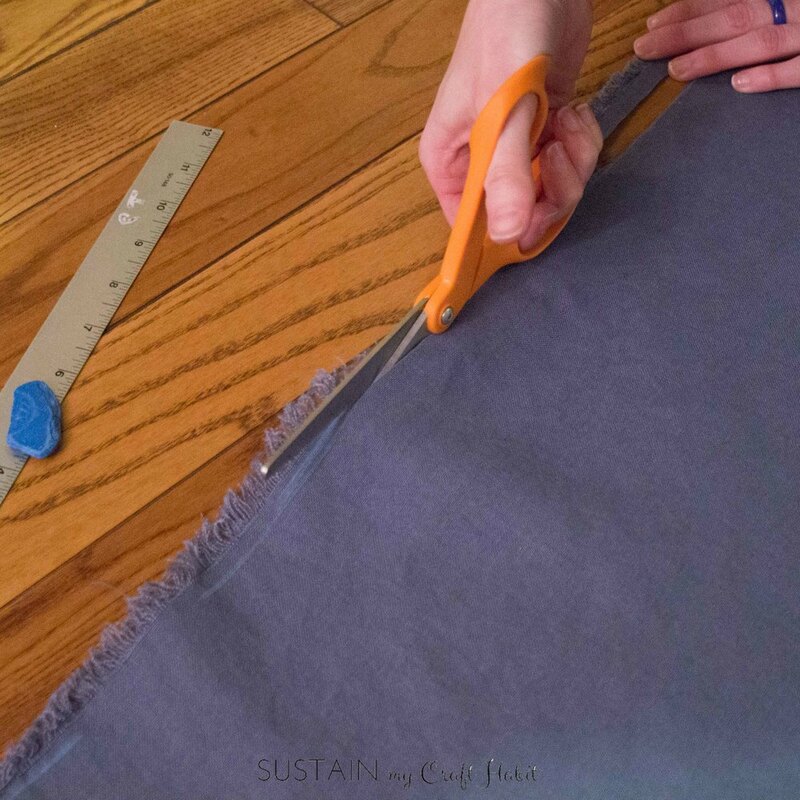 For a hemmed edge finish: fold the cut fabric edge over ¼” and stitch as close to fold line as possible (approx. ⅛”). 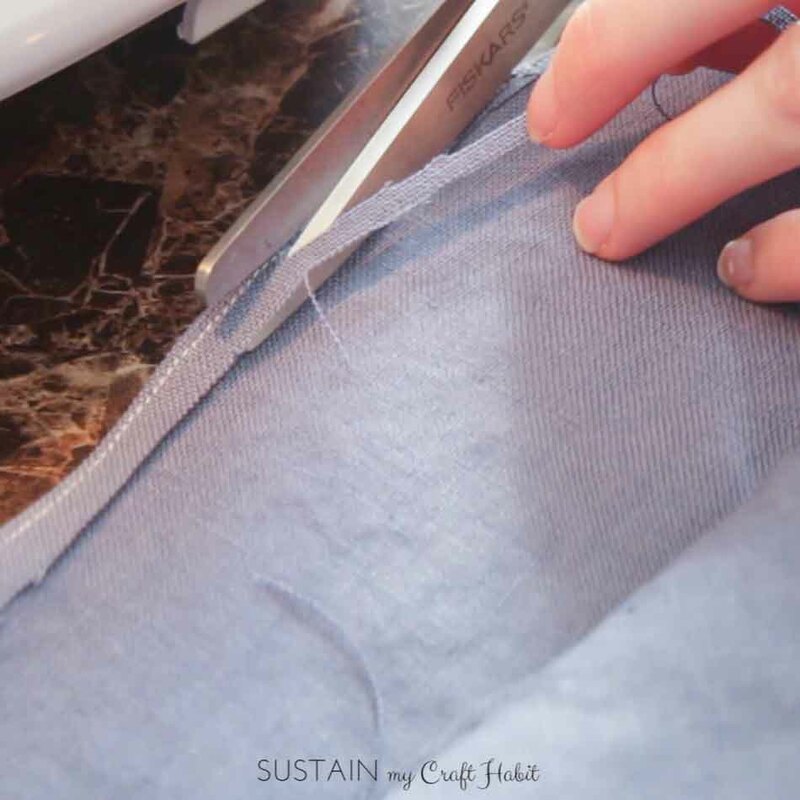 Trim away the excess fabric as close to the stitch line as you can. 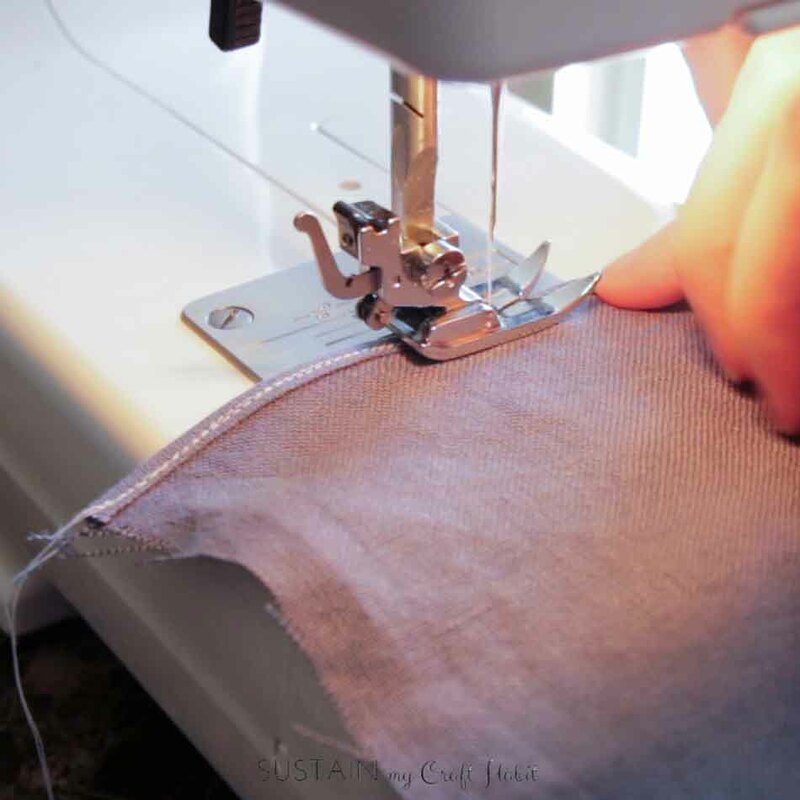 Fold the stitched edge again (3/16”) and single stitch in place. Repeat for all 4 sides of the napkin ring. 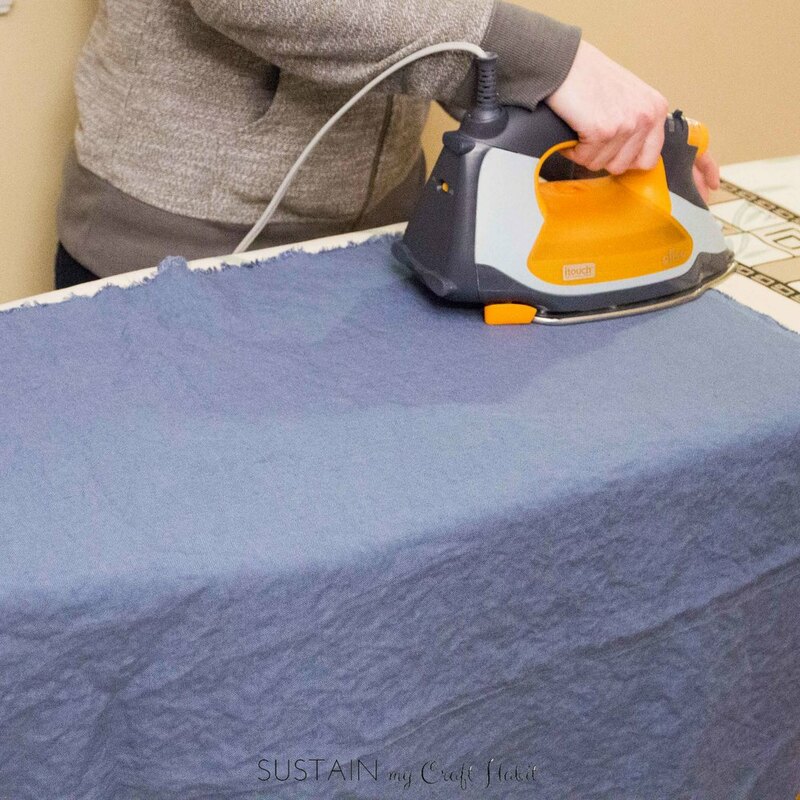 Iron your napkins and you’re good to go! There you have it, your very own set of linen napkins. You can purchase high-quality 19”x19” linen napkins on Amazon.com* for over $20USD a piece. For just under $18USD/yard at OnlineFabricStore, some thread and time, we were able to make a whole set of 6 for just about the same price. 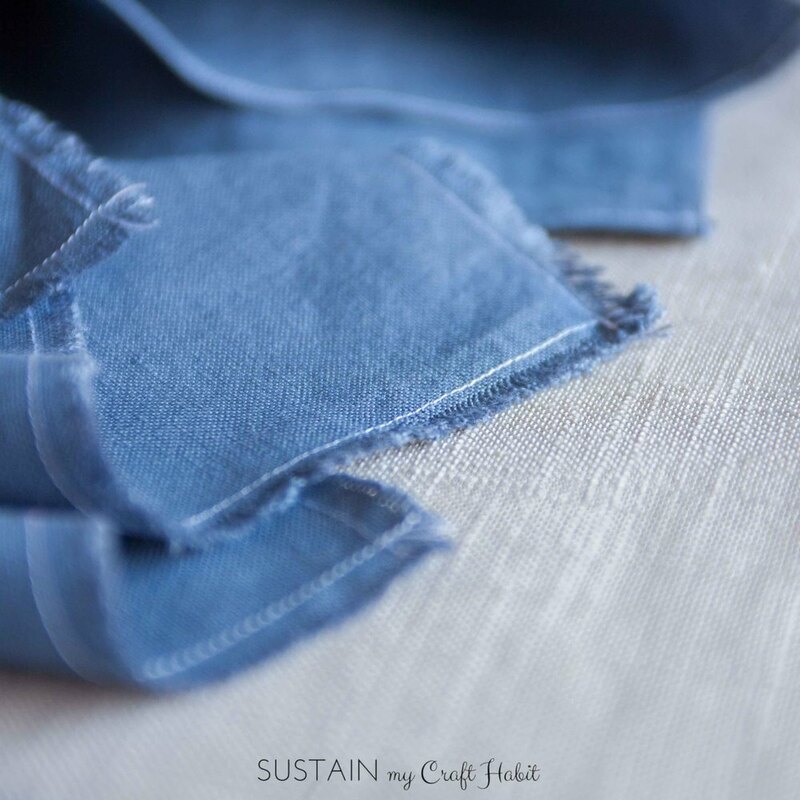 We are still arguing over who gets to keep them (although it’s true, Jane’s dishes have never looked so good) but either way we know and appreciate that these handmade, high quality napkins using sustainable and durable linen will last a lifetime. 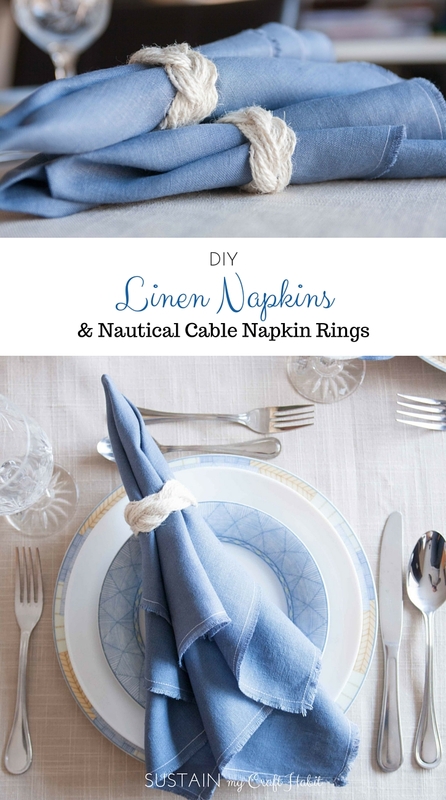 The beautiful blue colour and airiness of the napkins really inspire a coastal or nautical feel, so we decided that some simple DIY nautical-inspired napkin rings would be ideal for our table-settings. So we took to YouTube, searching for nautical knots and eventually came up this video by the Paracordist (yes, it’s a whole thing according to hubby) on how to make a sailor knot bracelet, but using paracord. The braided pattern looked so beautiful so we gave it a shot with cotton twine that we received from OnlineFabricStore.net. 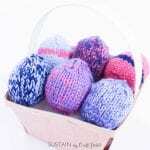 To make each ring which measures about 3 inches in diameter you will need 4 strands of twine (about 48 inches each). 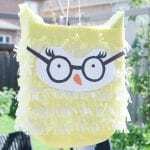 Now it’s time to see what our other Canadian blogging friends created with their yard of fabric from OnlineFabricStore. 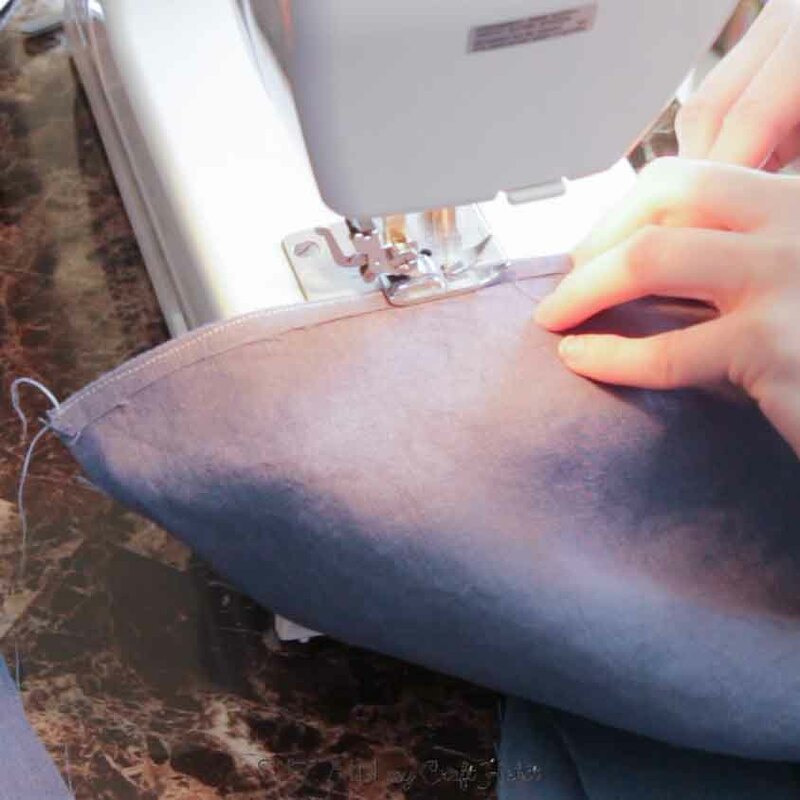 From cushions, banners, bibs, chair refinishing, chenille blankets, Easter bunny treat bags and more, these creative and inspiring DIY projects will have you dusting off your sewing machine in no time. 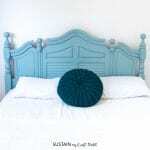 DIY Chenille Blanket with Pom-Poms from Vin’yet Etc. Thank you Ariel. These are perfect for the summer. Great for cleaning up all those Long Island Ice Tea spills out on the patio 😉 . 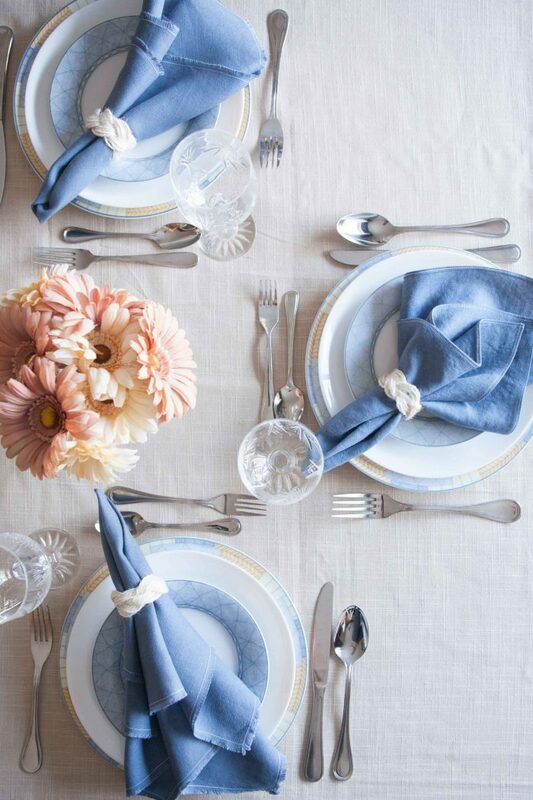 The combo of the linen napkin and the cotton twine is so pretty! Great work. We love the contrast in the colours and textures, and that they’re both made from natural fibers. Thank you so much for your kind comment Joann! These are beautiful! 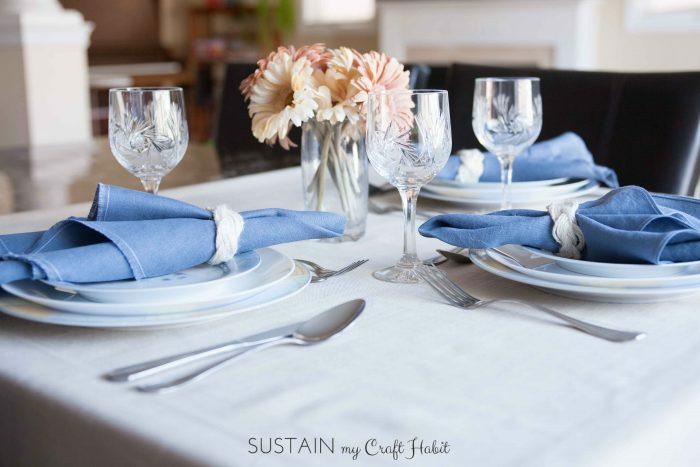 And, you chose the PER-FECT fabric for your table settings! Thank you so much Jennifer! To be honest, we originally had a different project in mind for the linen (a DIY canvas art project). But when we received the fabric, it just "felt" too nice to put up on the wall. We’re so happy the napkin idea came to mind – now I get to use and feel the smooth texture regularly. It’s funny how much we’ve been learning in our blogging journey. We didn’t know half of these linen facts. Knowing more about linen and it’s rich history makes us want to work with it even more! Your napkins look great, love the colour and the fabric choice. I’m so in love with linen these days too. We think more linen projects are definitely in the works for us! We couldn’t believe the selection of colours and prints available at OnlineFabricStore.net . So inspiring. Thank you for stopping by Dannyelle. great ideas. I am sure The Fabric Exchange has so many choices of fabric for this kind of project.